Researchers made a big breakthrough thanks to the ice bucket challenge. Stephen Hawking died Wednesday at the age of 76 at his Cambridge home in England. The famed physicist, who formulated a number of groundbreaking theories on black holes and quantum mechanics, had a slowly progressing form of the motor neuron disease amyotrophic lateral sclerosis (ALS). Researchers are fighting the disease, which affects muscle movement. Also known as Lou Gehrig’s disease, the condition seems to occur randomly in around 90 percent or more of cases, according to the National Institute of Neurological Disorders and Stroke, with the other five to 10 percent inherited from parents. While most people die within the first three to five years of symptoms, around 10 percent will survive for 10 or more years. Hawking beat the odds: When he was diagnosed at age 21, doctors didn’t think he would see his 25th birthday. ALS research has progressed significantly over the years, in part thanks to the ice bucket challenge. The August 2014 viral meme, which encouraged people to dunk themselves in an icy bucket of water, helped raise over $1 billion for the ALS Association, which donated the proceeds to the University of Massachusetts Medical School’s Project MinE. The project was able to discover the NEK1 gene found in around three percent of cases in the United States and Europe, a key breakthrough in discovering its causes. Hawking lived with the disease for decades, but he was wheelchair-bound and communicated with a device that spoke at a rate of six words per minute. The system enabled him to access around 2,500 words and the letters of the alphabet using a switch. The hardware synthesizer, produced in 1986, had an American accent that he retained because he identified with it. 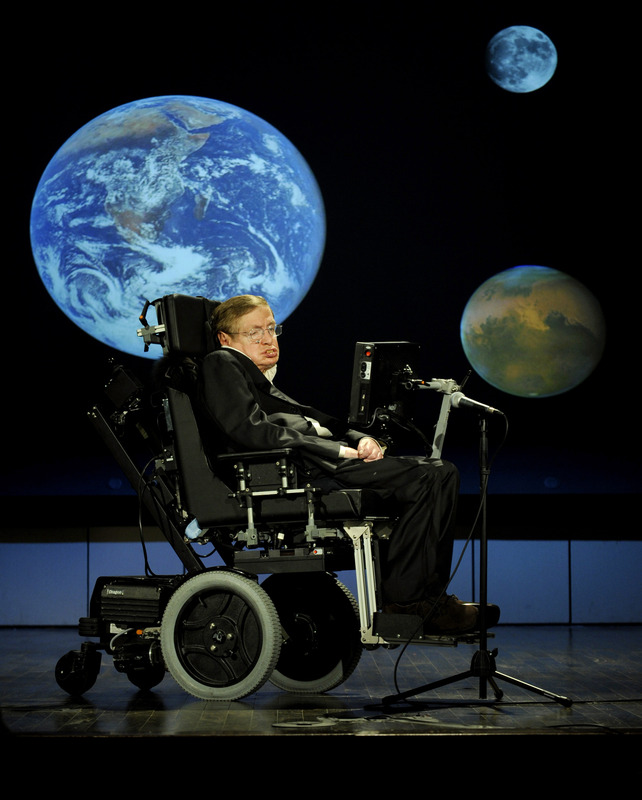 As Hawking’s condition deteriorated, researchers explored ways for him to use the machine through a brain-computer interface. Advancements over the years enabled him to select words based on prediction, with assistance from Intel and SwiftKey.